Lame duck legislature blocks the power of Josh Kaul from withdrawing from Obamacare, an issue he campaigned on. 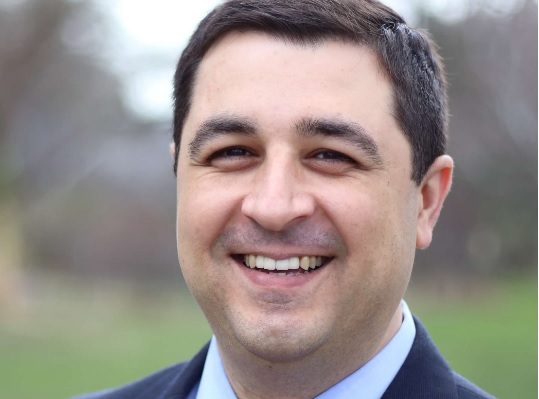 Lame duck Republican legislators in Wisconsin have voted to curtail the power of the state’s newly elected Indian American Attorney General Josh Kaul and Gov. Tony Evers, both Democrats. Kaul defeated the Republican incumbent Brad Schimel on November 6 by nearly 18,000 votes, and he will be sworn in as the attorney general in January. But on Tuesday the Republican-dominated state legislature rammed a bill through the statehouse that contains a number of provisions to limit the powers of Kaul and Evers. The bill would prevent the next attorney general from withdrawing a lawsuit against Obamacare. Another measure included in the bill would allow the state legislature to hire private lawyers to defend state law in court — a power normally vested in the attorney general. However, the Republicans removed a provision that would have allowed them to replace Kaul altogether with private lawyers at government expense. The new attorney general, whose father Raj Kaul is Indian American, had campaigned on Obamacare, promising the electorate that he will keep the pre-existing condition clause in the Affordable Care Act. Wisconsin is part of a number of Republican-dominated states that are challenging the legality of Obamacare in federal courts. Other measures passed by the legislature include limiting early voting to just two weeks and giving control of the state’s economy to the lawmakers, rather than the governor. Outgoing Gov. Scott Walker, who was defeated by Evers last month, is expected to sign the bill. Democrats have termed move as a power grab. Even though Democrats won the popular vote by 8 percentage points, Republicans control the statehouse and Senate because of the gerrymandering. Kaul’s mother Peg Lautenschlager served as the attorney general of Wisconsin from 2003 to 2007 — the first woman to do so.